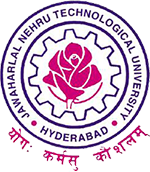 JNTUH Academic Calendars: Students who are interested in Pre planning their Schedules can have a download their JNTU Hyderabad Academic Calendars, so they can get the overview of their work to be done in that year. An academic year is a period of time which schools, colleges and universities use to measure a quantity of study. A calendar is a system of organising days for social, religious, commercial or administrative purposes. This is done by giving names to periods of time. Academic Calendar usually gives the details about the events that will be done in that year. Candidates who are pursuing B.Tech/ B.Pharmacy/ MBA/ MCA/ M.Tech/ M.Pharmacy courses under JNTUH can download the Academic Calendars/Schedule from the below links, which we were provided to you. It gives the complete information about mid exams, Practical’s, semester end examination dates. Holidays, Fresher’s day, Farewell, Events, Seminars, Internships, and many more.